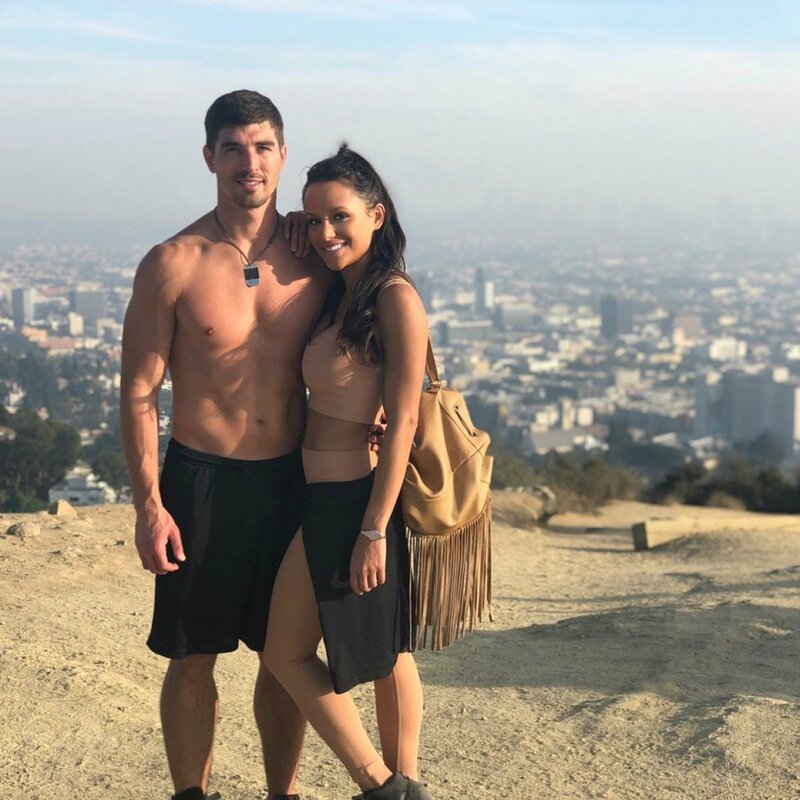 Jessica Graf and Cody Nickson have never backed down from a reality TV challenge dating back to their appearance on Big Brother, and they don't intend to start on The Amazing Race. The dating couple will be competing on The Amazing Race when Season 30 debuts Wednesday, January 3 at 8PM ET/PT on ABC. "I hadn't seen Cody in a month and a half! Getting to work on another project with him was really exciting for me because it meant some quality time. And who wouldn't love to spend time with their significant other with a free trip around the world?" Jessica told E! News ahead of the premiere. "My only other goal during the race was to stay in it as long as possible so we could see as much of the world as we could." Cody simply added, "I had no other goal besides winning." Jessica and Cody fell in love on Big Brother's most recent season and developed an "us against the house" mentality when they found themselves to be the targets week after week. Both players were physical threats, and Jessica also had a great strategic and social game going on her own. Jessica was given an opportunity to leave Cody behind and advance herself in the game, but she chose to stand by her man, who was ultimately crowned "America's Favorite Houseguest" thanks to votes his girlfriend helped rally for him in the real world once she was evicted from the house. Cody and Jessica complement each other well, and their dedication to each other as people and teammates could only be advantageous during an uber-competitive race around the world. "I came into The Amazing Race really guarded because I wasn't sure if we were going to walk into another really volatile cast," Jessica shared with E! News. "Luckily we didn't!" And the lovebirds apparently fell harder for each other during their time on the Race. "He's exactly the man I thought he was," Jessica gushed. "Honestly, to know Cody is to love him. Those who judged him so harshly in the [BB] house have no idea who he actually is... He can do everything and anything. It really just comes down to whether or not I can keep up." Cody added, "[The Amazing Race] just confirmed and validated what I already knew about her." Cody and Jessica are not the first set of houseguests to cross over into The Amazing Race, as couples Jordan Lloyd and Jeff Schroeder as well as Rachel Reilly and Brendon Villegas each previously competed on the show. Jessica and Cody are probably hoping, however, they are more successful. Jeff and Jordan placed seventh on their season, while Brendon and Rachel appeared on two different editions of The Amazing Race and finished in third place both times.